Amitriptyline Queen is a memoir of mental illness, drug addiction, love, and recovery. 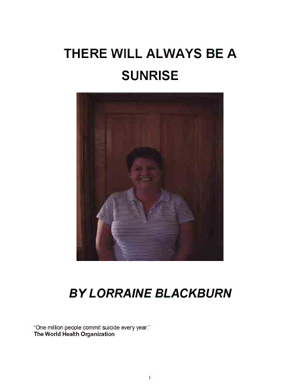 It is the story of one girl’s ability to overcome mental illness through self analysis and writing. After years of being told nothing by doctors, Jaden took matters into her own hands and began educating herself about drugs, love, and emotional wellness. 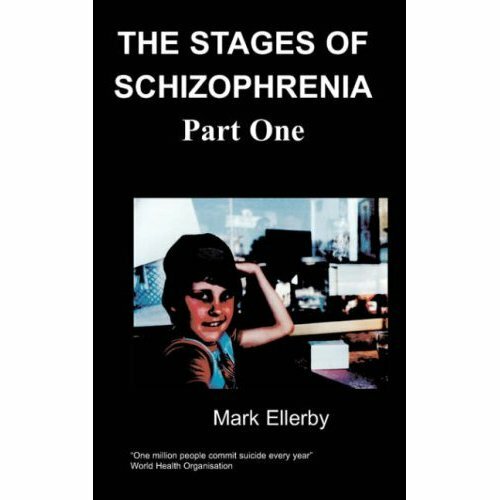 Years of manic scribbling turned into a book of letters and poetry with a hint of delusion and a message of the importance of knowing yourself in order to know recovery. Jaden Christopher was born in 1983 and is currently a Masters in Mental Health Counseling student. She was diagnosed with Bipolar I Disorder and Borderline Personality Disorder at the age of 18. Jaden has a history of poly substance abuse and is currently in recovery. She began writing at as a teenager and documenting her life in the form of poetry and letters. After nine years of scribbling in note pads she put her thoughts together in this book. 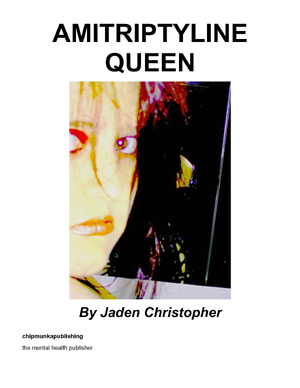 Jaden contributes her recovery to self advocacy, self education, a strong support system of friends, psychopharmacology, and above all her mother. No one wakes up and says, “Gee, I hope I have a mental illness when I grow up.” Still, some of us get it, and the worst thing you can do is run from it. Acceptance is a key part of recovery. Learning to acknowledge it, educate yourself, and accept your limitations… no matter what they are, because your strengths will always outweigh them. Just like cancer, the sooner you catch it and deal with it, the easier it is to adjust. One of the worst things is having to adjust your dreams. I always wanted to be a doctor. I wanted to work with HIV antibodies in a research lab. At age sixteen, I learned that a friend had HIV, and all I ever wanted to do was save his life. Now, I have to worry about saving my own. I had the grades to be a doctor in high school and carried a 3.8 GPA at Loyola University, Chicago, six months prior to my first psychotic break. I was a Pre-Med Biology Major, and I was going to make it. I dropped out of school after I found James asleep next to a naked Veronica, December 22nd 2001. I had dated James from the 4th of August, 2001, after graduating high school as the National Honor Society President, Student Body Vice President, and Prom Queen. I was a varsity cheerleader, and always peppy, happy, and cheerful. Towards my senior year, things began to change. I noticed I was becoming more vengeful, especially surrounding the topics of my friend’s relationships. I became hypersexual, had racing thoughts, never slept, but couldn’t get to school on time. I was almost suspended and spoke with rapid, pressured speech. I attended a Catholic high school in a small town. My class was a close family of twenty-nine, and as an adult I deeply regret that we didn’t stay as close as we were in high school. However, my best friends today, I have known since I was twelve. They have watched me undergo numerous medications, psychoanalysis, more mood swings than I can count, and have stood by me through the men, the drugs, and the suicide attempts. I contribute parts of my recovery to my support system and these high school friends. After all, it was four of them who picked me up off the street the morning I had my first psychotic break, bandaged me up, made me watch stupid movies, took me out in major catatonic states and tried their damnedest to make me laugh. I don’t know if they ever understood what had happened that day… but it involved knives, blood, beatings, and lots of crying. I don’t remember much… but that’s in part because I’m too scared. My “genie in his S10 pickup” had stood by me through so much. On the 22nd of December, 2001, he sat with me at the mall while smoking pack after pack of cigarettes; wrapped up wrists, catatonic, and psychotic. And he came to take me home. Today, we are still best friends. James and I were young. Everyone thought he ‘did’ this to me; no one understands that until afterwards. James didn’t do anything to me that wouldn’t have happened later in life. Mental illness is a ticking time bomb and you don’t get to choose who hits the detonator.